One of the most fundamental problems in the system of education is the lack of abilities in students to examine, research, and analyze. Education is often perceived as a one-way-process; i.e. students learn and teachers teach. Regrettably, plenty of students gather information without processing it, so it becomes useless. Instead of this, a high-school student should learn how to research on his/her own. In school, as we know, there are many research projects assigned to students. However, college level requires from you to examine your topic as real researchers do; i.e. in its academic context, with elaborating a theoretical framework and conducting an observation or experiment. Now, the difference between a research paper and other types of papers needs to be clarified. The main goal of the research paper is to analyze a given process, phenomenon, action, etc., and to explain it as to be able to predict what will happen under similar circumstances in the future. In short, that means verifiability and predictability, which are two fundamental principles of science. An essay, however, is written from a personal point of view and often expresses an opinion of the writer. 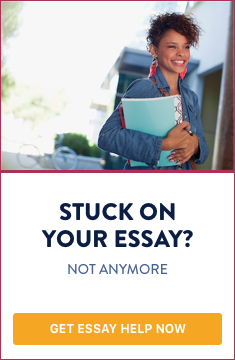 Thus, a research paper deals with facts and an essay deals with opinions. A report, in contrast, deals with facts and opinions. This means not only to be present in classes, but also to participate actively in discussions, experiments, and other activities whenever possible. Do not rely on textbooks or internet sources; if you are watchful and also have a good memory, use it, because this will help you while writing a college research paper. what is the topic and what is the particular problem (both are not always identical)? from what standpoint should you approach the problem? how long should the paper be? what theories should you refer to? are you required to carry out an experiment, observation, etc., or this is merely a theoretical assignment? which academic standard of citation to employ? what is the deadline for submitting the final version of the text? Under “academic” we mean books or articles, which are written and published according to the cardinal principles of science mentioned above. Also, you should only search for articles in peer-reviewed journals; that is, articles which have passed “blind-review” by renowned researchers. You should keep in mind that a research paper without theoretical framework is unreliable. Therefore, you need to refer to some authorities in your field of knowledge, as to be able to confirm or repudiate their ideas in your research paper. Keep notes on the books you read and be careful not to note wrong page numbers. It is highly recommended to elaborate your thesis and to defend it by using several arguments. You could also refer to the authorities mentioned above in order to make your thesis more reliable. Set forth your thesis in two or three sentences and argue in favor of it, consistently and convincingly. Your arguments need to be directly related to the thesis. They should follow the thesis statement and be clearly separated from it. Some students wrongly merge the thesis and the arguments, or at least do not show clearly what is what, so the reader becomes confused and the thesis lacks reliability. Attach a list of all titles referred to throughout the research paper. Use an appropriate citation standard. If you follow the above-mentioned tips on how to write a college research paper, you will be able to write a good draft. Consult your colleagues or friends, and ask them for their feedback. The last step is to revise the paper. That’s it! Don’t be afraid to start writing, you should take action and you will definitely succeed!